I'm very happy with the final project and very impressed with Laua'a artistry. She is a professional, very customer oriented, and she takes pride in her work which was an indication to me, no need to worry. Of course I will work with Laura Wilenskt again and have already referred others to her! 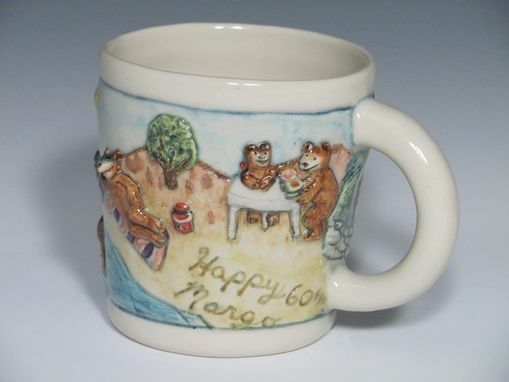 Personalized scene on functional mug, to honor special birthday or other occasion. 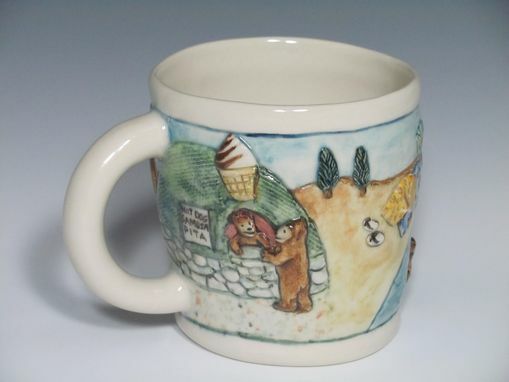 I can do a whimsical scene with bears, bunnies, cats, dogs. I can personalize it with favorite activity or hobby or profession. I am able to do other animal scenes that are more "grown-up". 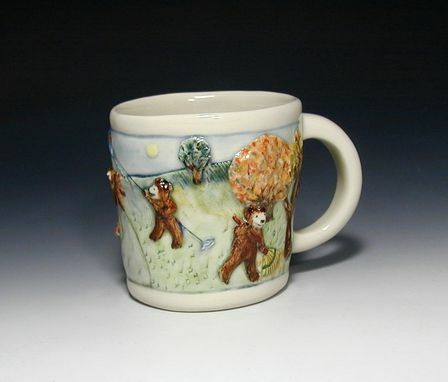 These are one-of-kind, high-fired porcelain mugs. I welcome your inquiries. Every maker has a story. 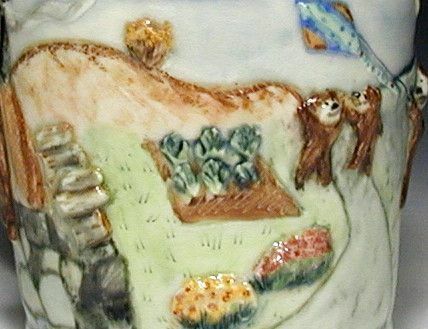 Be a part of Laura Wilensky Porcelain's story by placing an order, leaving a review, and seeing your review appear here.